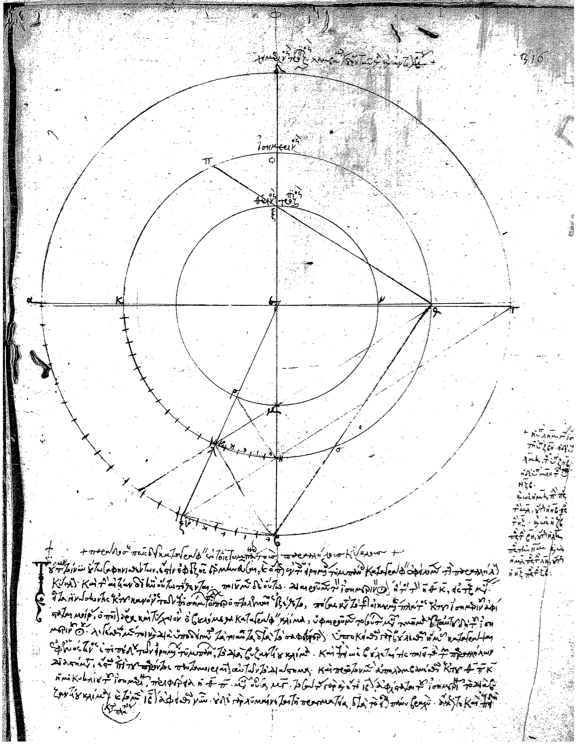 A 16th-century copy of a Byzantine wind diagram from BN Grec 2493, fol. 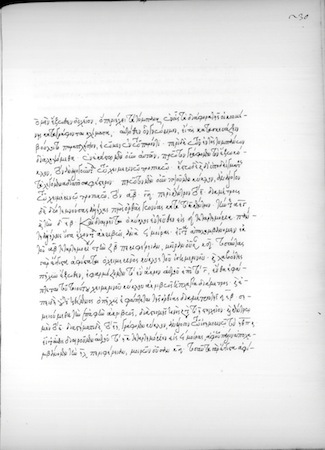 165v. 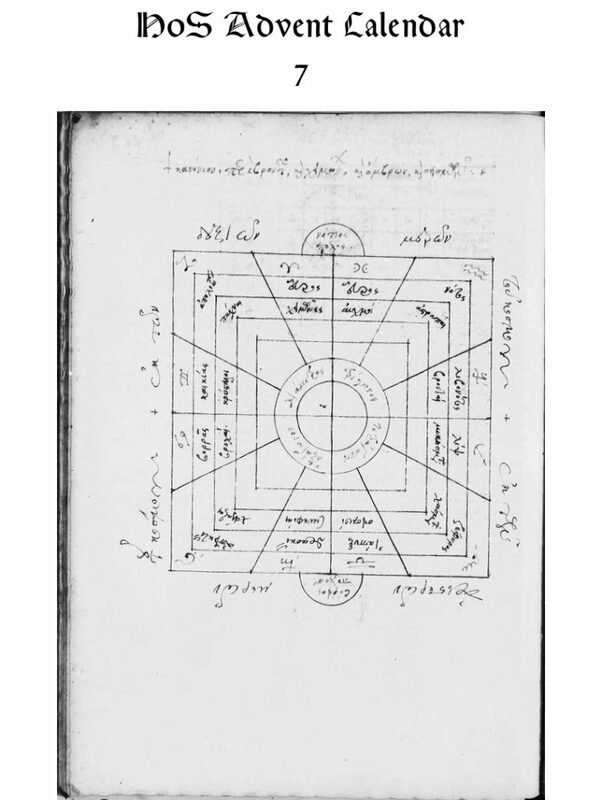 This Byzantine wind diagram, also titled “Diagram about thunder, storms, rainstorms, and earthquakes,” closely resembles the previous Byzantine Wind Diagram. 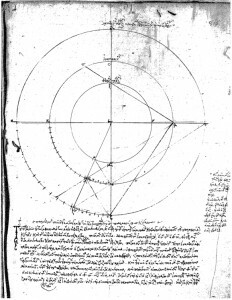 Both come from latter 16th-century manuscripts. 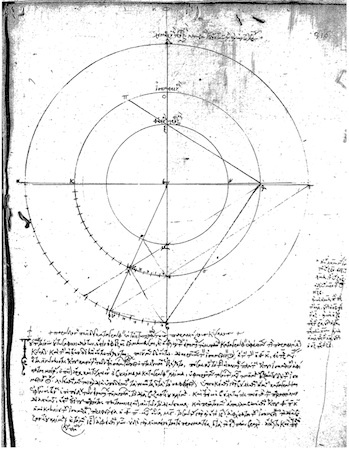 This particular copy was never finished—the elements are missing from the center of the diagram, the “παναχῆ” is also missing in this copy. 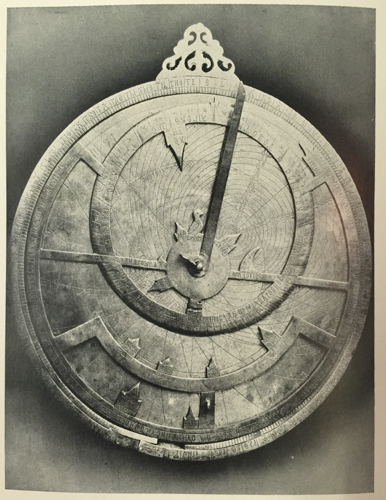 Once again, we see the aspects in the inner circle, the second square is meteorological phenomena, the 12 winds, the signs of the zodiac, south and north poles, and the captions indicating from the right and left parts of the cosmos. 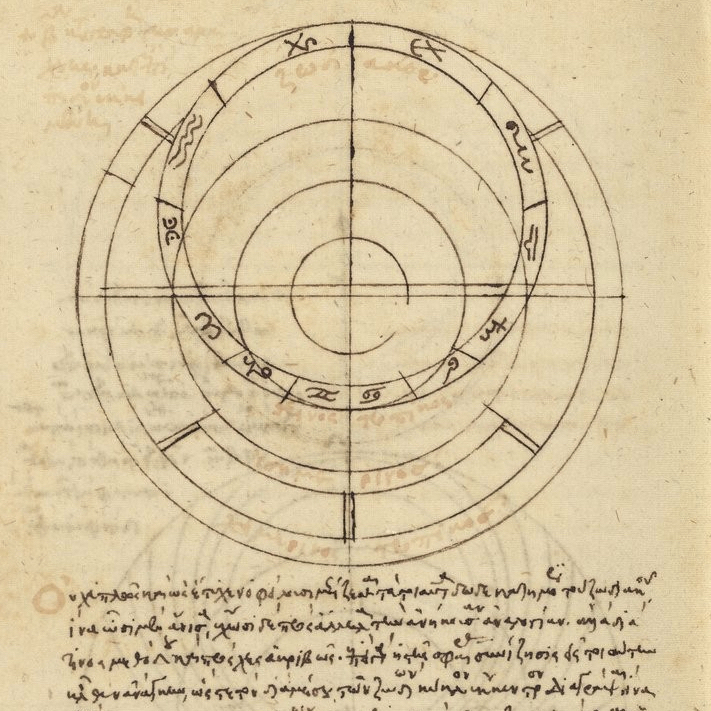 As with the other codex, Royal MS 16 C XII, this codex (BN Grec 2493) contains three texts on the astrolabe—the catalog entry identifies them as Philoponus’s, an anonymous text, and Gregoras’s along with scholia on that last work—and a variety of anonymous astronomical diagrams. 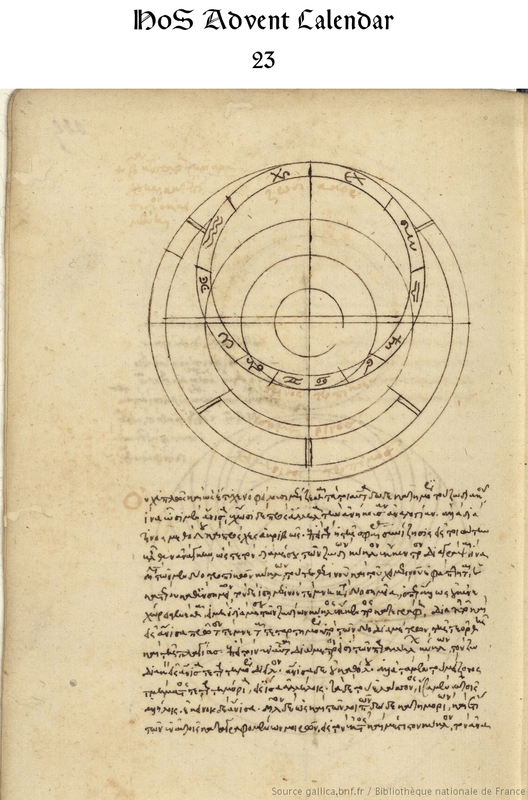 The codex also includes texts by Theon of Alexandria.